A Delhi court today granted four days to Tihar Jail authorities here to respond to a plea filed by imprisoned Bawana, seeking his removal from solitary confinement in the prison. 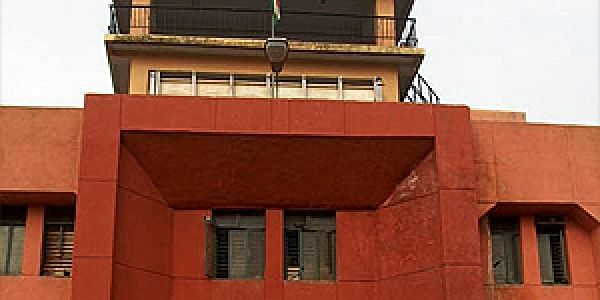 NEW DELHI: A Delhi court today granted four days to Tihar Jail authorities here to respond to a plea filed by imprisoned gangster Neeraj Bawana, seeking his removal from solitary confinement in the prison. The court passed the order after the authorities claimed that they required more time to file a reply to Bawana's application in which he has claimed that he was being kept in inhuman conditions in the prison and his fundamental rights were being violated. "The jail authorities have segregated the accused in solitary confinement since the past two weeks and he is deprived of basic necessities like books which are available to others," the application, moved by advocate M S Khan, said. Khan also claimed that the fundamental rights of the accused were being violated by the jail authorities. A Delhi court had last year acquitted Bawana of the charge of trying to kill a policemen in a 2015 shootout, but held him guilty of illegal possession of arms. The Delhi Police's Special Cell had earlier chargesheeted Bawana and nine others, including former MLA Rambeer Shokeen, for allegedly running an organised crime syndicate in the Delhi-NCR region. The police had also chargesheeted Bawana's elder brother Pankaj Sehrawat and some other members of the syndicate for alleged offences punishable under the provisions of the Maharashtra Control of Organised Crime Act.